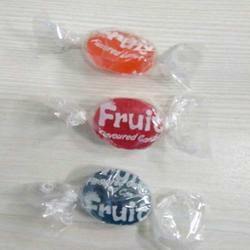 Backed ourselves with sound facilities, we have been betrothed in providing a diverse range of Fruit Flavoured Toffees. Being a consistent business organization of this highly competitive market, we are offering to our customers an extensive collection of Guava Chunk. The Pietrobon is a company that has been operating for 45 years in the market, working in food industries such as candies and chocolates and also in the plastics division, pipes and hoses. Shah Premchand Keshavji & Co.
Fruit Flavored Candy comes in orange, lemon, apple and peach flavors as per the demands of our valuable clients. 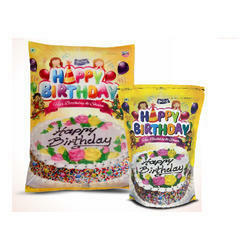 Our organization set a benchmark in the industry by providing a wide gamut of Berrys Supa Filled Candies. We are providing an excellent quality array of Fruit Flavoured Assorted Toffee to our prestigious clients. We are one of the most well-distinguished companies in the market that are into offering Lycheta Candy. Candy Foods Products Pvt. Ltd.
Pineapple Candy, which we offer, is processed using the best Pineapple and other ingredients. The Pineapple Candy, which we provide, is available in various shapes. Also, we provide the best and hygienic packaging of the Pineapple Candy. These Pineapple Candies are appreciated for their ambrosial taste.